1. An estimate of the DPMO (defects per million opportunities). 2. One or more capability indices. 3. 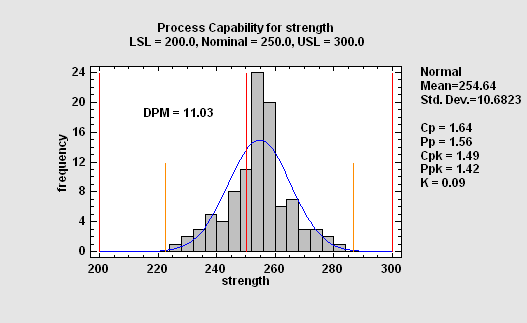 An estimate of the Sigma Quality Level at which the process operates. This procedure performs a capability analysis for data that are assumed to be a random sample from a normal distribution. 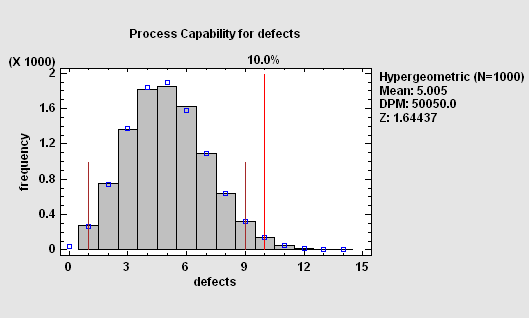 It calculates capability indices such as Cpk, estimates the DPM (defects per million), and determines the sigma quality level (SQL) at which the process is operating. It can handle two-sided symmetric specification limits, two-sided asymmetric limits, and one-sided limits. 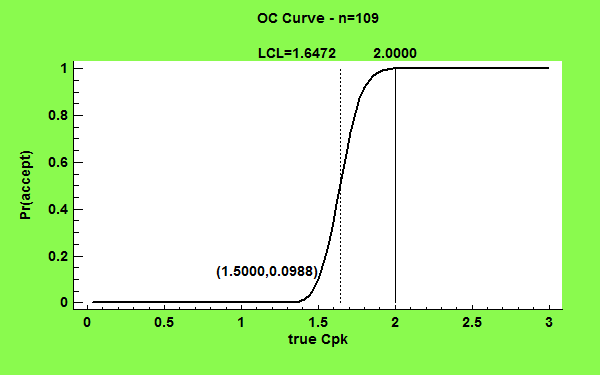 Confidence limits for the most common capability indices may also be requested. This procedure performs a capability analysis for data that are not assumed to come from a normal distribution. The program will fit up to 25 alternative distribution and list them according to their goodness-of-fit. For a selected distribution, it then calculates equivalent capability indices, DPM, and the SQL. When the variables that characterize a process are correlated, separately estimating the capability of each may give a badly distorted picture of how well the process is performing. In such cases, it is necessary to estimate the joint probability that one or more variables will be out of spec. This requires fitting a multivariate probability distribution. 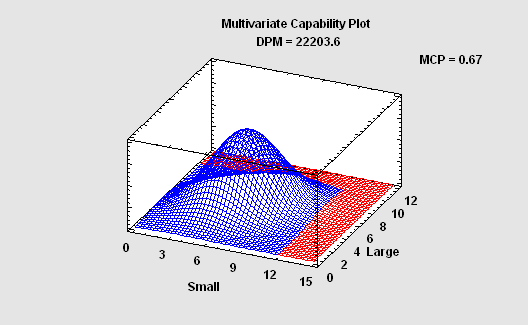 This procedure calculates capability indices, DPM, and the SQL based on a multivariate normal distribution. 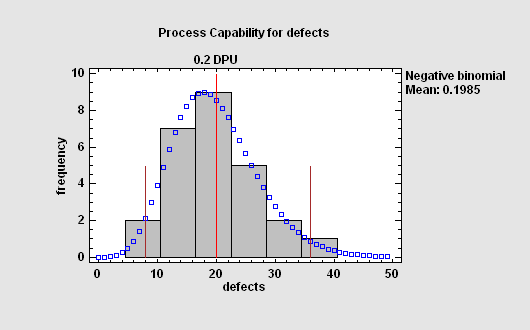 When the relevant measure of performance is a rate, then the process capability analysis is based on: a Poisson distribution if failures occur randomly; a negative binomial distribution if failures tend to occur in clumps. 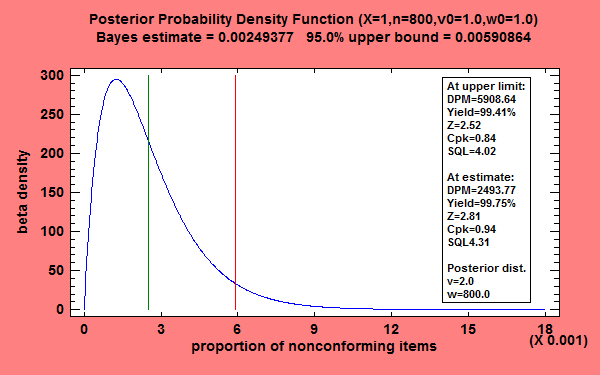 When prior knowledge exists about the probable proportion of nonconforming items generated by a process, a Bayesian approach to estimation of process capability can give more precise estimates than relying solely on a new data sample. 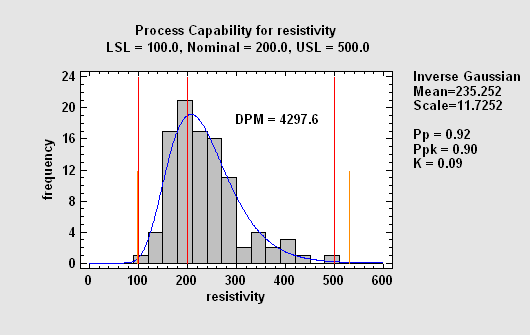 Combining prior knowledge with current data creates a posterior distribution that may be used to create both point and interval estimates of process capability. This procedure determines a suitable sample size for estimating three capability indices: Cp, Cpk, and Cpm. The determination is based on either the desired precision of the estimate or the power of a hypothesis test.